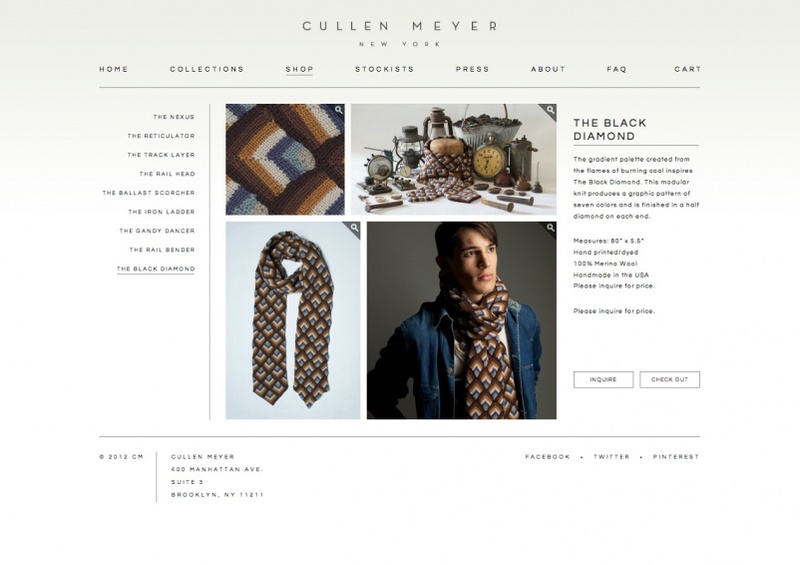 Cullen Meyer launched his new line of antique railway-inspired neckwear in October of 2012. The “Crown Prince of Kitsch” is also the Vintage/Interiors Editor at WGSN, the world’s leading trend forecaster. The folks at AxiomPort were helping renowned designer Cullen Meyer launch his new line of designer neckwear and were looking for someone to put the finishing touches on the project by developing the website. Enter Tune. We took the design, a few instructions and a lot of excitement and turned it into a beautifully functioning website in about a week. The development staff at Tune is incredibly knowledgeable, thorough, and responsive. They exceeded our expectations and were great people to work with.